Get a sense of the local culture at Zona Arqueologica Malinalco and San Angel. Chalcatzingo and Archaeological Zone of Xochicalco will appeal to history buffs. Explore Mexico City's surroundings by going to Palacio de Cortes (in Cuernavaca), Galeria Artesanal Malinalco (in Malinalco) and Convento de San Martin Caballero (in Huaquechula). 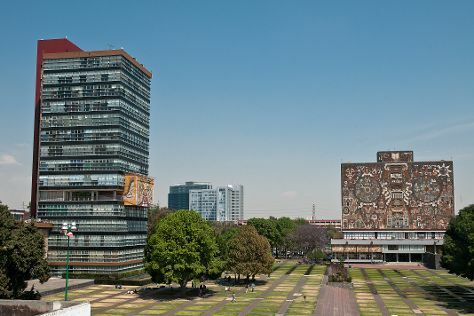 There's still lots to do: wander the streets of Ciudad Universitaria, test your team's savvy at popular escape rooms, identify plant and animal life at La Condesa, and don't miss a visit to Virgin of Guadalupe. To find ratings, traveler tips, reviews, and more tourist information, read our Mexico City trip itinerary tool . If you are flying in from Canada, the closest major airports are Licenciado Benito Juarez International Airport, Querétaro Intercontinental Airport and General Francisco J. Mujica International Airport. In April, daytime highs in Mexico City are 31°C, while nighttime lows are 15°C. Finish your sightseeing early on the 1st (Wed) so you can travel back home.